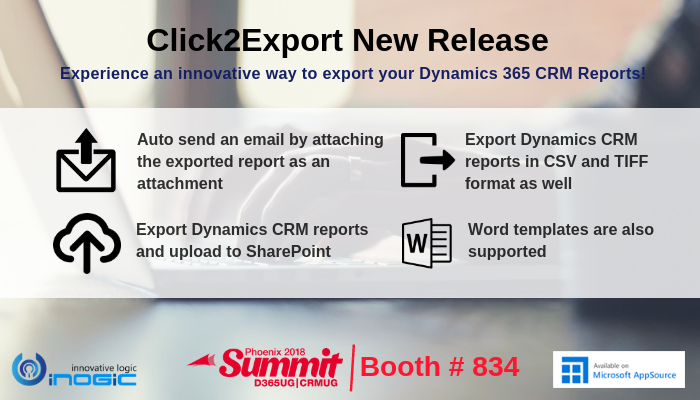 Click2Export New Release – Experience an Innovative way to export your Dynamics 365 CRM Reports! Innovation starts with your Team, Partner, Customer and the end Users. 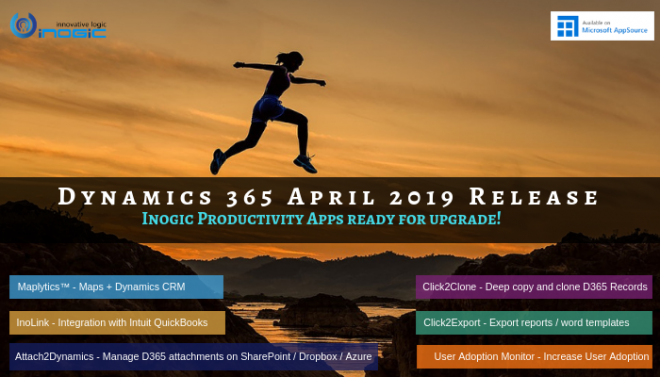 Well, with a combined effort of all these, we are glad to bring up another new set of strong and innovative features in our Click2Export – Your favorite Dynamics 365 CRM App to export Dynamics CRM reports in a click. In our last blog, we had a walk through on what’s coming new and you can now download this latest version of Click2Export solution from our website. 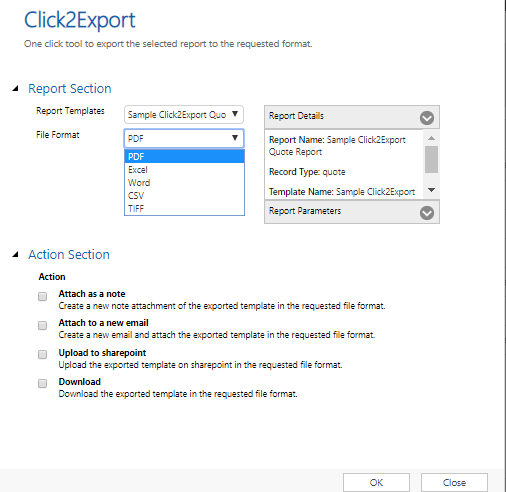 With the new release of Click2Export, we have tried to redefine the exporting process of CRM report files. Now the users can not only export and attach the CRM report file to an email but also send that Email automatically to the required recipients. Users can now export the CRM reports in CSV and TIFF format as well along with PDF, MS Word, and Excel. Moreover, they can also export and upload the CRM reports to SharePoint. Also, Click2Export solution is now upgraded and is compatible with v9.0 version as well. With Auto Send Email option user can now automatically send email with the attachment of exported file. Email Section is available to select the sender, receiver, CC and BCC. 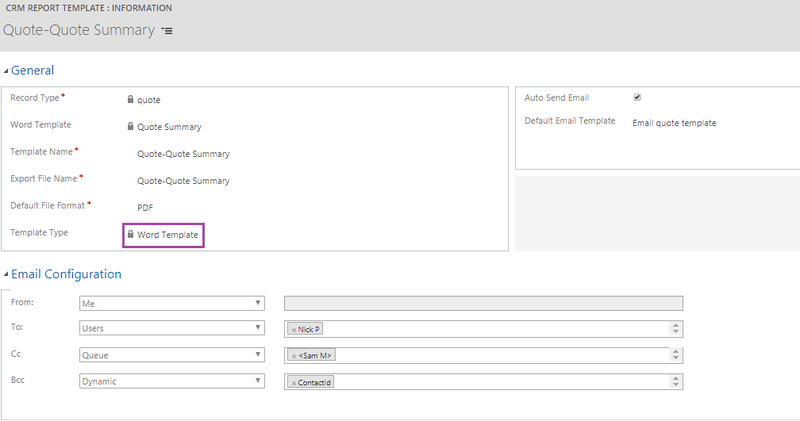 Also, the user can define the default Email template for generating the draft composed with the default Email body. Users can now export the Dynamics CRM reports to CSV and TIFF format along with Word, Excel, and PDF in just a single click. Thus, the user gets more flexibility of opting for the needful formats as per the different type of business requirements. 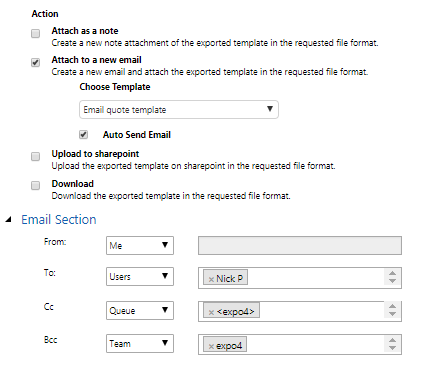 Users can now upload the exported Report template file on configured SharePoint site in the requested file format. This will help the users to export and share the exported file on the common platform with the required users. Users now have the ability to use the CRM Report Template – Word type to configure the solution. Word Template is present in document template for the required record type. We would be showcasing this new release at CRMUG Summit Phoenix 2018, if you are around, do drop by at our Booth # 834. Download and start your 15 days free trial right away!